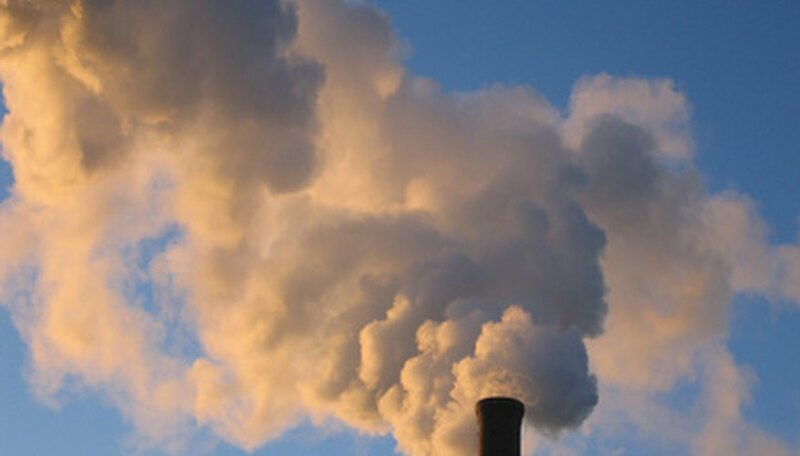 Smokestacks release particulates into the air—particles of soot, dust and smoke. These particles are large contributors to air pollution. 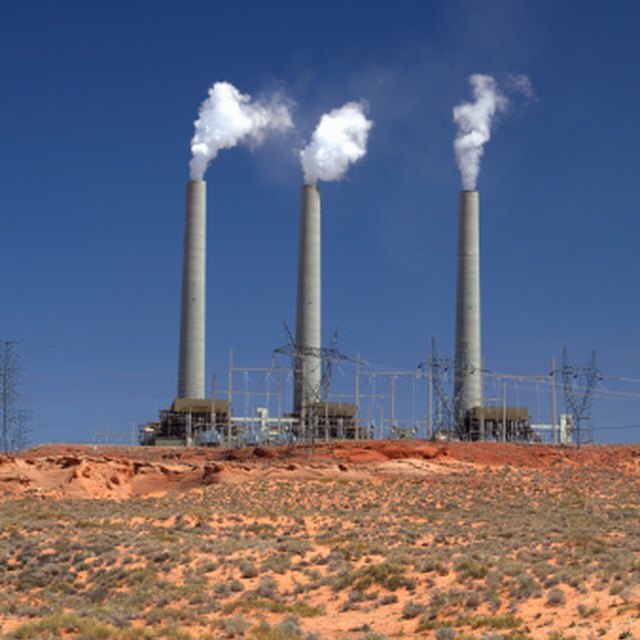 Smokestacks are also responsible for kicking out massive quantities of gas emissions such as carbon monoxide and sulfur dioxide. To control air pollution, methods for keeping smokestacks clean are needed to minimize the output of particulates and gas emissions. Install an electrostatic precipitator (ESP) component, which is a particle control system that helps remove particles from a smokestack by using electrical charges. According to the U.S. Environmental Protection Agency, an ESP can remove small particles with up to 99 percent efficiency. Use fabric filters to help remove dust. Use filters that are durable and can withstand excessive heat temperatures inside a smokestack. Install venturi scrubbers to help remove particles that are confined within a smokestack. A scrubbing liquid is used in conjunction with air pressure to help remove particles. Use settling chambers. Gas is forced through through a settling chamber to help remove particles that have accumulated inside smokestacks. Apply a cyclone. Cyclones use inertia to remove large particles. Use an incinerator to help moderate the emission of waste gases into the air. Use activated charcoal (ground charcoal) to help absorb gases. If you use a settling chamber, use it in conjunction with other air pollution control devices because settling chambers remove only large particles from within a smokestack. If you use venturi scrubbers and produce wastewater, the wastewater will need to be sent to a wastewater treatment facility to be thoroughly processed. Cyclones collect particles but don't destroy them. Any particles that are collected with a cyclone must be disposed of or recycled. According to the U.S. Environmental Protection Agency, using venturi scrubbers can lead to the development of wastewater. Zmuida, China. "How to Remove Pollutants From Smokestacks." Sciencing, https://sciencing.com/how-6340282-remove-pollutants-smokestacks.html. 09 January 2018.